Looking for a little lubrication to grease the gears of your big Gateway City get-together? 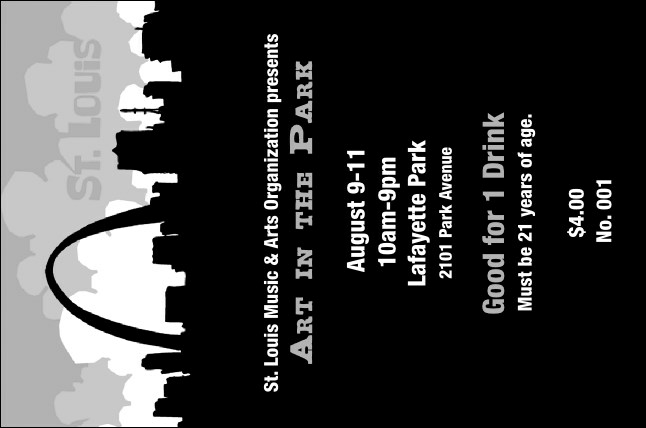 Keep the liquid refreshment flowing with a St. Louis Drink Ticket. With an image of the Arch and secure, individual numbering, you can sell drinks in advance, reward your patrons, and ease your bartender's life. TicketPrinting.com bends over backwards to get your order right.